Find a corn maze near you! Looking for a local corn maze or hayride in Nevada? Just select your area in the list or map below. 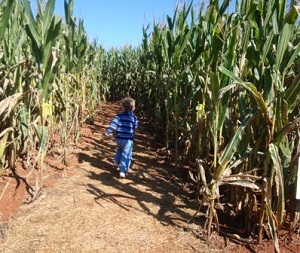 April: Many corn mazes are open now, just scroll down the page. And if you are looking for a pumpkin patch, this website for pumpkin patches). You may also want to try the latest fun, Zombie Paintball, see this website!. To find fruit and vegetable pick-your-own fruit and vegetable farms in Nevada, click here. To find choose and cut-your-own Christmas tree farms in Nevada, click here. Click on the area for which you want to see a list of pick your own farms. Permission is given to link to any page on www.CornMazesAndMore.org but NOT to copy content and republish it. Those copying content from this website and publishing it will be vigorously legally prosecuted.